and making sure I didn't cheat. Last week, I took a day off work and headed off to the Lynden Fair in Washington with my family. 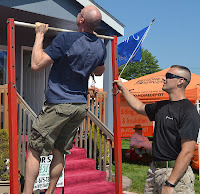 As we were walking around, we came to a booth set up by the Marines and smiled when I saw a pull-up bar standing there. I couldn't resist. 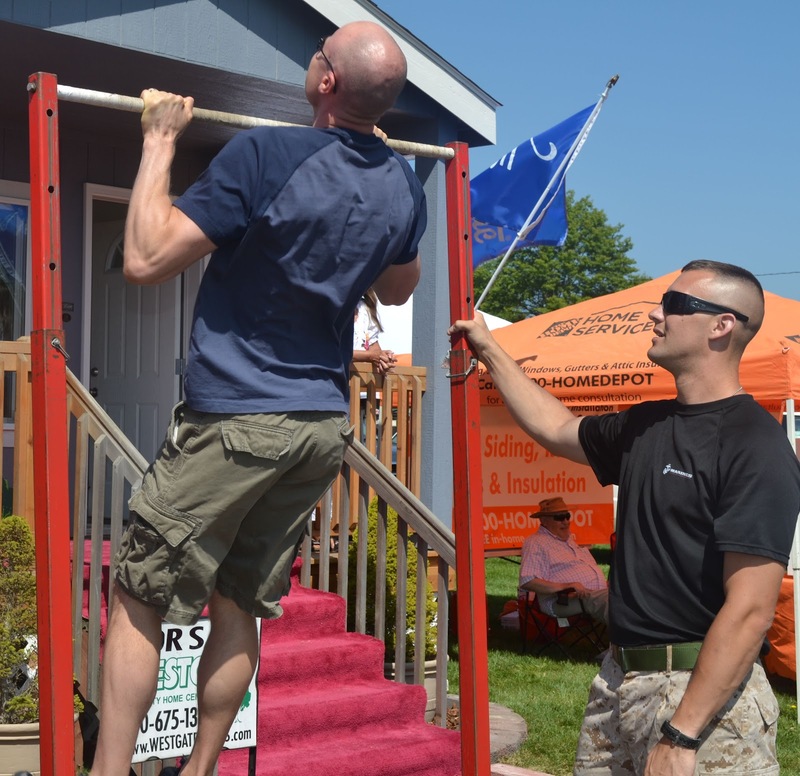 I set a personal pull-up record, but was disappointed to learn that 2 more reps would have won my family a Marine football if. I'll be back next year to get my football! Since we have already looked at the benefits of pull-ups, some issues/concerns related to them and some exercise progressions. Now, it is time to look at the final piece of the pull-up puzzle: execution and programming. More recently there has been a move to sloppy pull-up technique. An aggressive kicking and whip-like action of the body (this is sometimes referred to as kipping) is great if you are in a pull-up contest with no form judges or you simply want to brag about how many you can do. I admit that not all of my pull-ups at the fair where textbook. However, when I do pull-ups in training, I do them to increase the strength and size of my back and arms so I don’t want help from my legs or the rest of my body. Let your reason for doing pull-ups dictate your form. Another common form problem is that many people focus bringing their chins over the bar when they should be focusing on brining their chests up towards the bar. Focusing on getting the chin over often puts people into bad posture. There is not point in doing an exercise in a way that contributes to bad posture. By bringing the chest up to the bar, driving your elbows down and keeping the chin packed, you not only enforce better posture, you also increase the recruitment of your lats (which improves the results you get and your pull-up performance). See this VIDEO for details. It is also important to properly pack the shoulder. Many people also make the mistake of grinding their reps when doing pull-ups. This burns you out too quickly and prevents you from getting sufficient volume to get a training stimulus. Check out this VIDEO for more details. Back exercises such as pull-ups seem to respond better to higher frequencies and volumes than most pressing exercises. As mentioned previously, over-zealous pull-uppers often fry themselves by grinding their reps. A better approach is to think of pull-ups as a 400meter sprint. Yes, you need to work really hard on them, but if you go too hard too soon, you will burnout and not complete the race (i.e. the training session). Instead of typical sets and reps, you can use total reps programming. 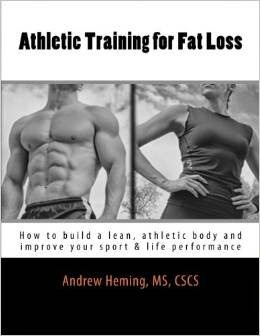 This idea has been made popular by coaches such as Chad Waterbury and Charles Poliquin, but I have traced it back to Arnold Schwarzenegger’s Encyclopedia of Modern Bodybuilding (and I’m sure it goes back long before him). With total reps, you decide on the total number of reps you are going to do. Each set is stopped when perfect technique can no longer be maintained (i.e. no grinding or sloppy reps). Take as many sets as it takes to get the total. For most people, around 20-30 reps works well (although some may need more). If you are trying to be extra careful not to increase muscle size, do 10-15. If you are trying to gain muscle size, do about 35-50 total reps. One of the ways you can progress this method is by trying to do more reps on your earlier sets and thus needing less sets to complete the rep total. Also, feel free to do other exercises between these sets of pull-ups to maximize your time efficiency. If you are a beginner, you can do pull-ups around 3 times per week and look at making some progression (reps going up or assistance going down) virtually each training session. If you can do pull-ups on your own, you vary their training to further improve pull-up performance. You may be able to continue to doing 3 pull-up sessions per week or perhaps drop it down as you may need longer to recover. At these levels, a heavier day where you do less total reps and add additional weight followed later in the week by a lighter day with higher reps can be helpful. Or do a heavy day (e.g. 2x5 with added heavy weight), a volume day (5-8x5 with added moderate weight) and endurance (1-3x max reps with body weight). Another option at this level is experimenting with high frequency pull-ups where you would train pull-ups several (e.g. 4-6) days per week (note, you best bet for joint health with high-frequency pull-ups are the rings). This can be helpful for endurance and muscle gaining. There are a variety of grips used. As I mentioned previously, I believe it is wise to emphasize neutral grip and ring pull-ups over straight bar pull-ups and chin-ups as your wrists, shoulders and elbows will thank you in the long run. There is no way of getting around the fact that pull-ups are hard work. However, if you combine proper exercise progressions, good technique, and effective programming with your hard work, you will be on your way to pull-up success. As motivation (especially for the ladies), here is one of our female soccer athletes doing an easy set of 5 reps with additional weight on the rings (rings are a lot harder than bars for pull-ups). We have many female athletes at our school who start unable to do pull-ups and before long have graduated to doing weighted pull-ups. Yes ladies, it IS possible! Awesome display of upper body strength in your athlete. Well done Andrew! Thanks Mike! She works hard and is rewarded for her hard work. Yes, she really looks very well. Would you like to share here her training program for a week? I'm just trying to see what i'm doing wrong since despite i'm working hard too i do not see any results yet. I have 4 months since i'm going to the gym twice a week. Your lack of results may be simply from training only 2x per week - for most people this will be more of a maintenance level. Using the rep totals or the the heavier and higher-rep days as I explained above can help - this is what I use with my athletes.